When you’ve got #BrowGoals but lack the follow-through enthusiasm or mad skills for daily makeup and maintenance, you will love microblading. This revolutionary procedure gives you beautiful brows for about a year with minimal upkeep required! 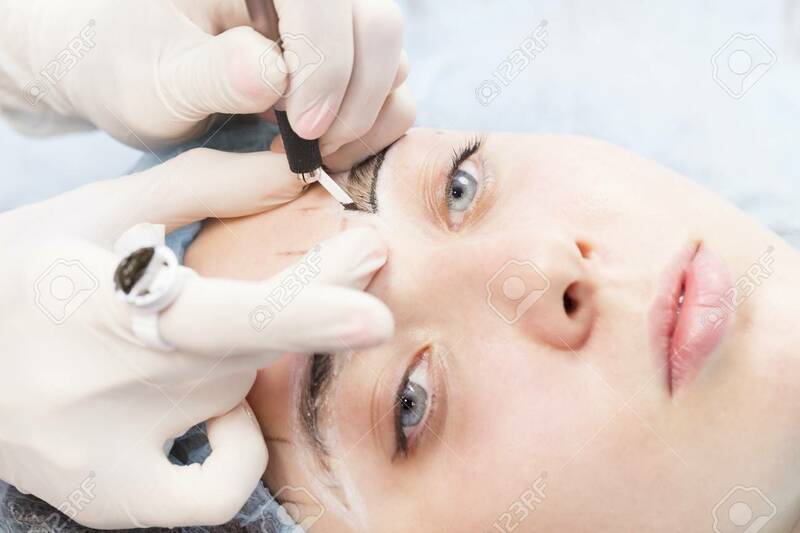 Essentially, microblading is a semi-permanent tattoo, but our talented eyebrow technicians use a special blade comprised of very small needles (not a tattoo gun!) to deposit tiny, precise lines of pigment that look completely natural. We carefully blend custom colours to suit your colouring and subtly vary the shades so your new brows look like you were born with them. Even if you lament that your brows are faint to non-existent, or if you’ve lost your brows from alopecia or other health challenges, our microblading artistry is so skillful that you’ll wish you’d come to see us sooner. When you come to Blink Brow Bar’s Vancouver eyebrow studio for microblading, the first thing we’ll do is ask you about your brow preferences. 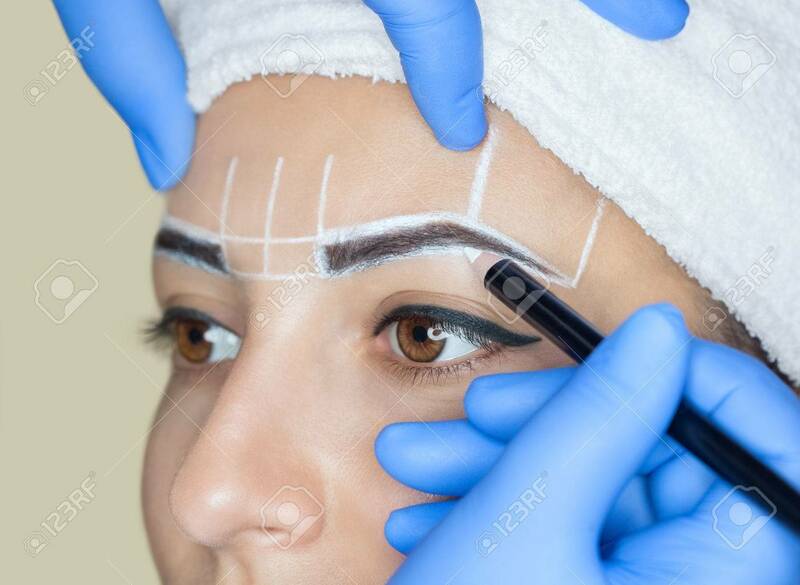 Then your technician will deftly draw on and shape the outline of your new brows so you can be certain that you’ll know what you’re getting and that you like the look. 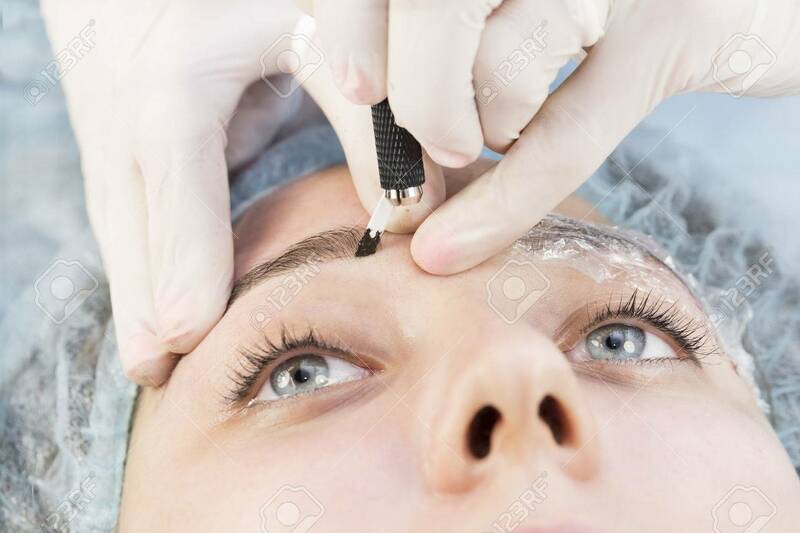 Then, after numbing your brows with a bit of cream, your technician will use the special microblading hand tool to carefully etch on your new brows line-by-precise-line. These hair-like strokes of pigment don’t penetrate the skin as deeply as a conventional tattoo, which is why the end result is so realistic. Everyone wants to know if it hurts and while everyone’s pain tolerance is different, most clients agree it’s more uncomfortable than painful – and many pronounce it pain-free entirely (but mention the scratching noise of the tool was unexpected!). A microblading appointment at Blink Brow Bar will take approximately two hours. If you’ve ever wanted to just wake up with perfect, full brows and not have to fuss with pencils, grooming tools, or gels, then this is your wish granted! When you visit us for microblading, you can leave the tinting, colour blending, symmetry, and arches to our expert technicians and enjoy all the compliments for months afterward (even if you never thought you’d have gorgeous full brows in this lifetime!). Plus once you have microblading done, you’ll need only minimal upkeep for any stray hairs under your brow line, which is easy when you visit us for threading as required. Most women feel microblading is a worthwhile beauty investment because the benefits typically last for up to a year before you need to book another session. And minimal brow maintenance for a year is a lot of time saved to do other things in life! After you leave your microblading appointment your skin will need to heal, just as it would if you’d had a permanent tattoo. How long this takes varies depending on your skin type, but typically healing takes anywhere from 10 to 30 days. 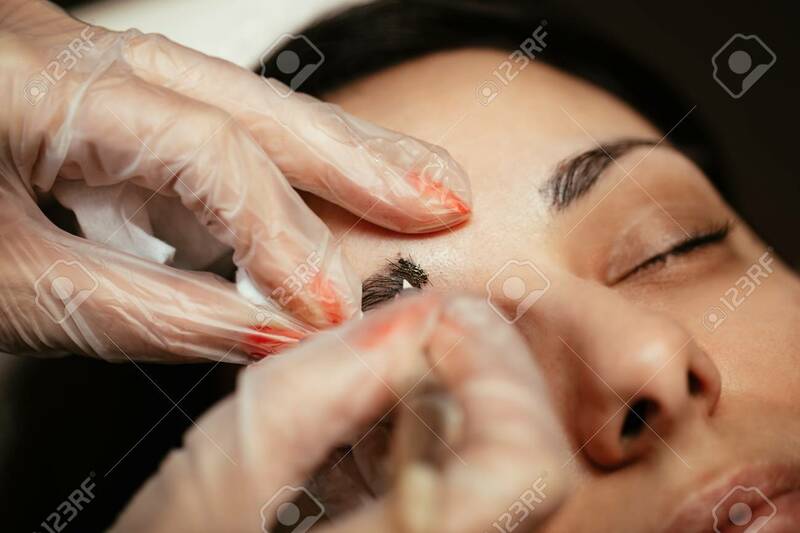 You can read more about the nitty gritty of what to expect and after care, but – essentially – once the skin has healed you come in to see us for your complimentary touch-up appointment about six to eight weeks after the microblading. After that, other than threading away stray brow hairs below the brow line, you’ll just have perfect brows to enjoy for about a year. All of our eyebrow technicians at Blink Brow Bar are highly skilled professionals who use their artistry to achieve the results you want. A two-hour microblading appointment costs $500 and includes one free touch-up within the first two months. The results last up to one whole year for most people (skin type may influence slightly longer or shorter results, of course). So even if you despair that you plucked your brows to pencil thin years ago when that trend was in, fear not! We can update your look and reframe your face with lovely full brows to envy. We expertly match the colours to your skin tone for a look that’s so natural strangers would never guess your brows are semi-permanent. Call our studio now to book your eyebrow microblading appointment! And, while you wait, review our “Microblading: What To Expect” and “After-Care” information so that you’re ready to fully enjoy (and care for) your beautiful new eyebrows! Microblading gives your brows semi-permanent colouring that lasts for up to a year. This procedure is ideal to fill in your brows, even if you’ve over-plucked, have naturally light or faint brows, or have lost your eyebrows for health reasons. Our skilled eyebrow technicians use a special blade with tiny needles to carefully etch tiny lines of carefully mixed colours to give your brows that completely natural look. Imagine: no maintenance or make-up for many, many months! Just like other hair removal options, microblading is not without some discomfort. While everyone’s pain tolerance varies, most of our clients tell us it’s way better than what they anticipated. Most say it’s more uncomfortable than painful and there are always women who say it didn’t hurt at all. Honestly we get more comments about the scratching noise the microblading tool makes than any feedback about the way the procedure feels. For the first 5-7 days after your microblading procedure, don’t use any water, soap, lotion, or makeup on or near your eyebrow area and try not to rub your brows. Be careful to keep the water off your face if you shower (baths might be a better option!). After 5-7 days, gently apply the post-care cream sparingly with clean hands and a clean cotton swab before you go to bed. Continue to apply the ointment nightly for 7 days. If you experience any unexpected problems with healing, please contact Blink Brow Bar immediately to discuss further instructions. And most importantly: contact a physician if you develop any of the following symptoms: fever or elevated body temperature, redness at the site, swelling or tenderness, red streaks that radiate from the site towards your heart, and any green/yellow discharge that is foul in odor.